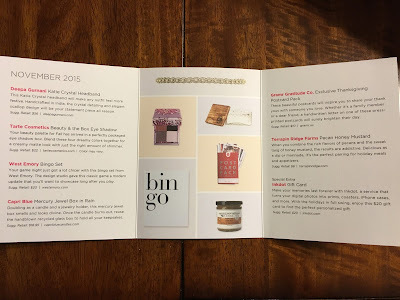 My Popsugar Must Have box arrived for November 2015. I always look at spoilers before I get this box, because I just can't wait to see what we're getting. This month I wasn't too excited about the spoilers, but still couldn't wait to see the box in person. Popsugar released 2 spoilers this month also. Popsugar Must Have always includes an information card explaining everything in the box. This month's inspirations were Friends & Family, Gratitude, Gifting, and Festivities. I really love this time of year, so I was excited about this box. 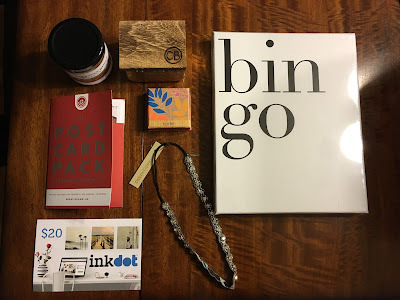 Here is everything that was included in the November box. 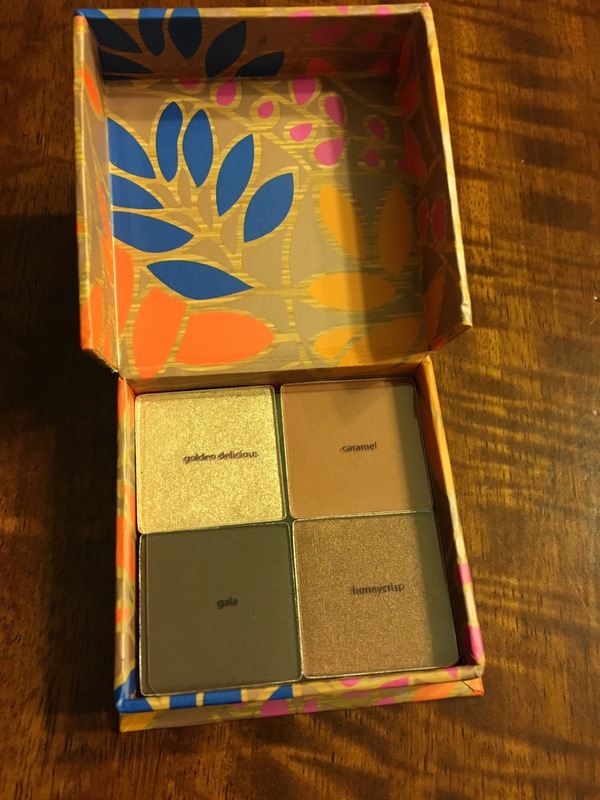 The first spoiler Popsugar Must Have released for this box was Tarte Cosmetics Beauty & the Box Eye Shadow. I have so many eye shadow palettes, so I wasn't too excited about this, but I always hope for new and different colors to try. 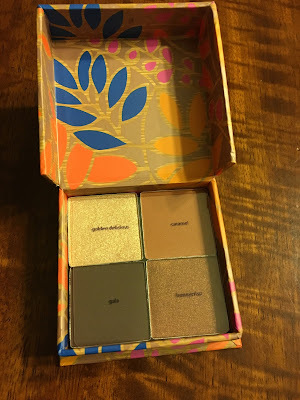 I received the palette with browns, which I'm not too crazy about because I have very pale skin and blue eyes, so browns don't look too great on me. I would have preferred the palette shown in the information card. I may gift this to someone that will enjoy it. I always say I wish Popsugar would do more variations between boxes and I'm happy when they do. 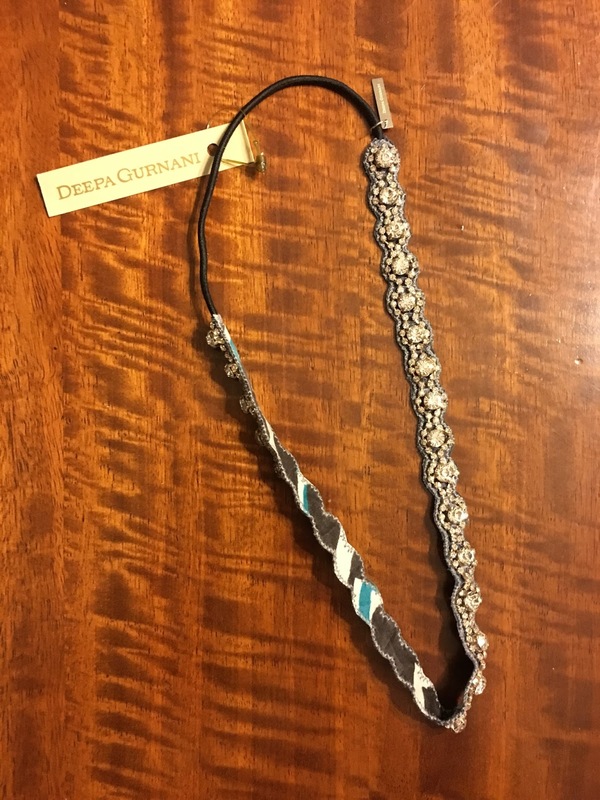 This color palette just wouldn't have been my top choice, but it will make a great gift! The other spoiler Popsugar Must Have released was the Capri Blue Mercury Jewel Box in Rain. 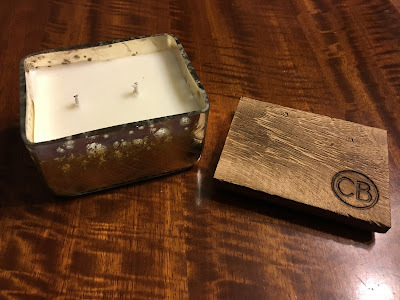 I was so excited to see this candle in person and I was mostly excited about using it as a storage box after I burn the candle. This will look perfect in my bedroom. It's totally my style with the glass and wooden top. I love the scent of the candle too. Perfection! I love this and thought it was going to be my favorite item this month. This also would make a great gift, but I'll be keeping this for myself! My favorite item in this month's box is the Deepa Gurnani Katie Crystal Headband. 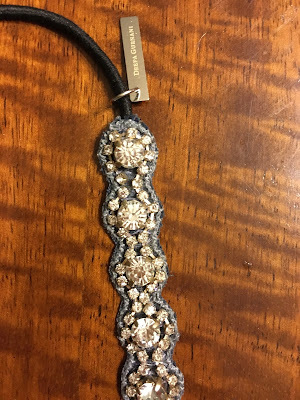 I'm not really a sparkly headband sort of girl, actually I'm not really a headband sort of girl, but this is beautiful! It's very comfortable and will be perfect for the holidays. I think I'll be wearing this all the time! I'm already thinking of places I can wear it in the next few months. When I saw this in pictures, I wasn't excited about it at all, but believe me, the pictures do not do this justice at all. It has a fabric liner, that makes it not get stuck and pull your hair. It's seriously the most comfortable headband I've ever tried on! And so pretty and sparkly too!!! I also received West Emory Bingo Set. I love that Popsugar included something different this month. I don't remember receiving anything like this in a past box, so I was very excited. 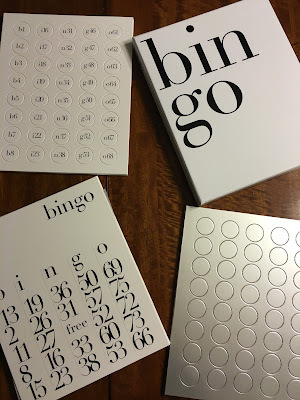 It's a very chic bingo game. I wish they included a chic bag to hold the calling numbers, but I'll find something to use. I can't wait to play with friends! Another item included was Gramr Gratitude Co. Exclusive Thanksgiving Postcard Pack. These are so cute and I love stationary. Not sure why I like it so much, but I do, so I was happy these were included. 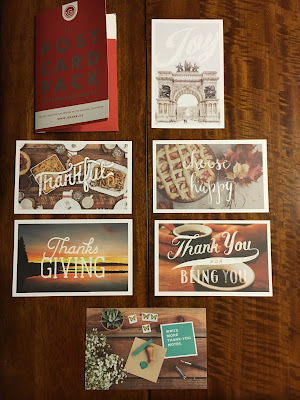 I usually don't send out anything for Thanksgiving, but I'm going to now! I'm sure the people who receive them will be very happy too. The food item included this month was Terrapin Ridge Farms Pecan Honey Mustard. This sounds like something that was made for me! 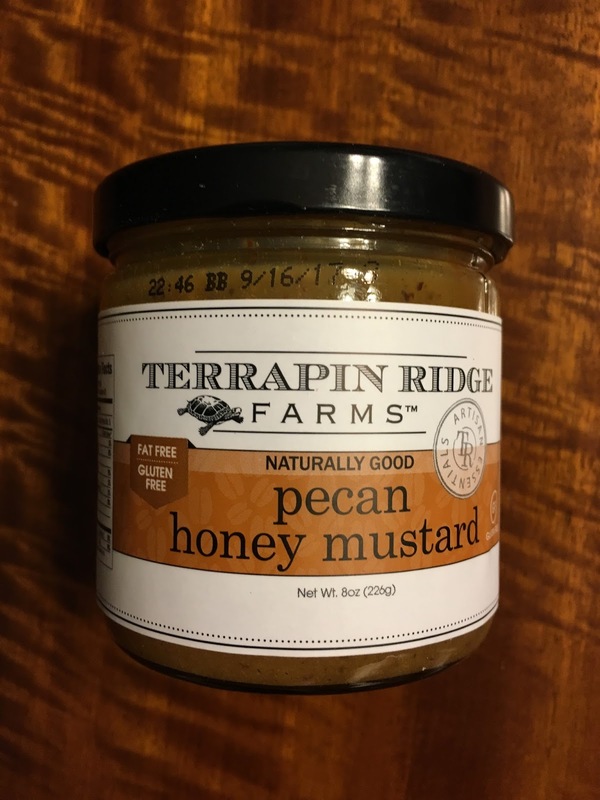 I haven't tried it yet, but I think it's going to make a great dip for entertaining. The food items are always my favorite. I don't always like them, but I love how Popsugar includes things I've never tried before. I owe my obsession of Snap Pea Crisps to Popsugar. I love those things and buy them all the time! I'm hoping this will be just as yummy!!! 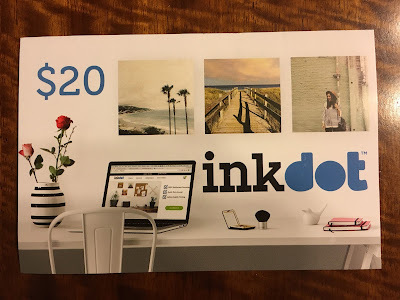 As a special Extra Popsugar included an Inkdot $20 Gift Card. You can make photo gifts, and I'll definitely use this for something! 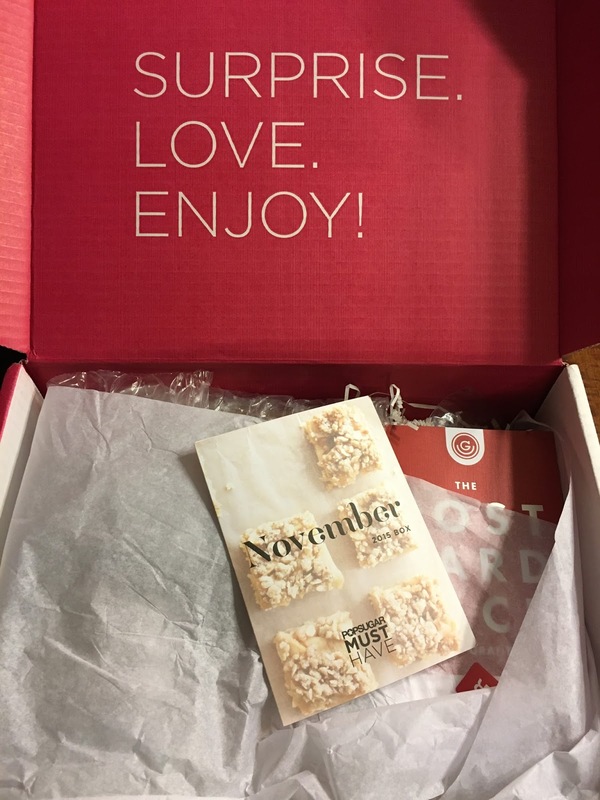 The November Popsugar Must Have box was great! I will use everything and I was much more excited about this box after seeing everything in person. I'm happy with the variety in this box and some different items I've never received in sub boxes before. I hope they do just as well with the December boxes. The Popsugar Must Have Special Edition Holiday Boxes for Her and Him are also on sale. I already bought them, because I think they'll sell out quick. I started a tradition a few years ago where me and my guy open these boxes on Christmas, so I'm continuing that. And I don't look at spoilers for these, so they're a complete surprise for both of us! 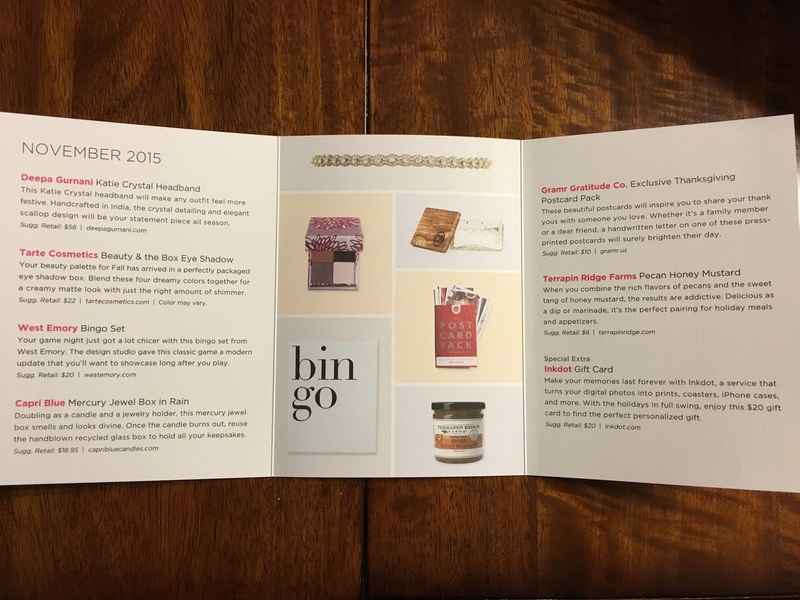 And if you are still interesting in purchasing the Special Edition Neiman Marcus box, it is still for sale also.